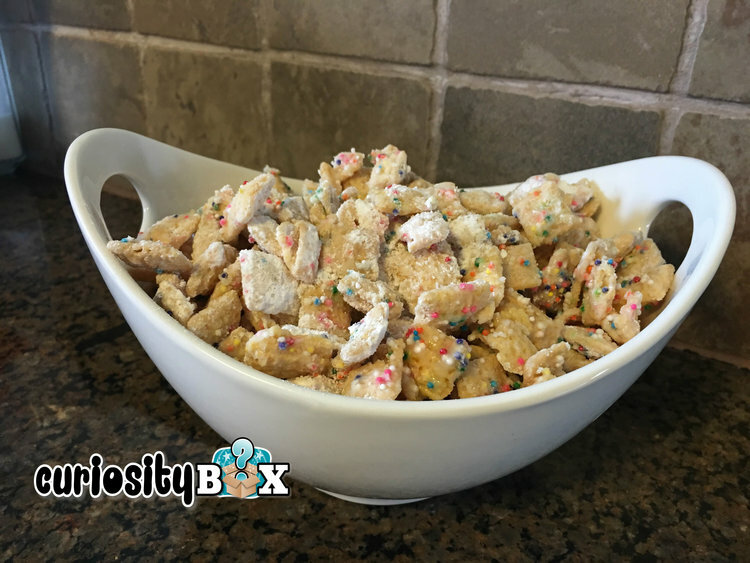 Measure out cereal in a large bowl. Set aside. Measure white chocolate chips, butter and cream and vanilla extract in a pot stirring frequently as to not burn the ingredients. Set aside and let cool. Pour the ingredients over the cereal. Mix it thoroughly. Add icing sugar and sprinkles and any other toppings that you like.